This six-part series dives into the history of one of the world's most revered and honoured figureheads - the Pope. Each episode explores a different time period and theme that moulded the role of the Pope and the Catholic Church into what it is today. 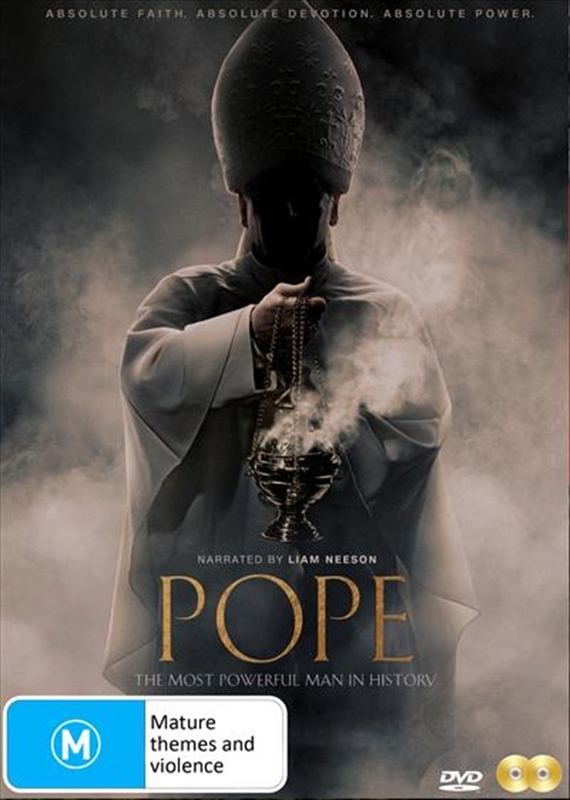 Narrated by Liam Neeson, the series employs archival footage, dramatic recreation and original interviews with experts and clergy of the Catholic Church to tell the story.